In order to start trading on Real Forex Account and earn money you need to make a deposit. 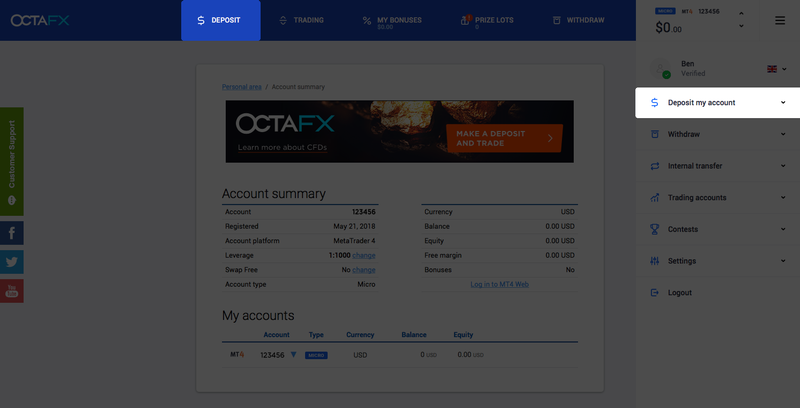 Before making a deposit you should know that OctaFX does not charge commission on deposits or withdrawals. 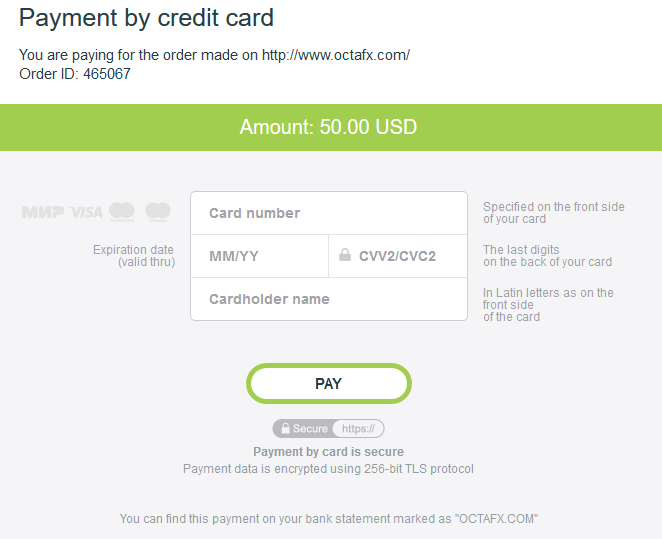 Moreover, OctaFX covers fees applied by payment systems. We also do not limit the number of deposits per day. Deposits with local banks are processed within 1-3 hours, credit/debit card and e-wallet deposits are instant. Minimum deposit for Pro account on MetaTrader 5 is $500. Forex traders from Indonesia, Pakistan, Malaysia, Thailand, India, Vietnam dan Nigeria can deposit and withdraw using their local banks. OctaFX supports a variety of Local Banks you can choose from. You can find “Deposit” buttons in the Top or Sidebar menu as shown in the picture below. 2. Choose among available Local Banks. Local banks availability depends on the Region you have filled in during the registration process. 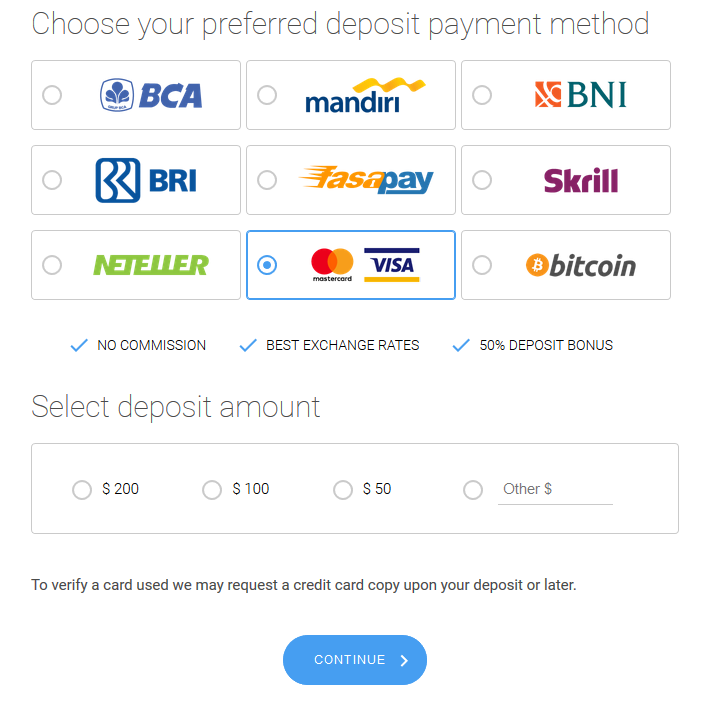 For example, Indonesian traders can choose between Mandiri, BCA, BNI and BRI. For instance, let’s choose BCA. You can select deposit amount from the offered options or put down the amount you wish. 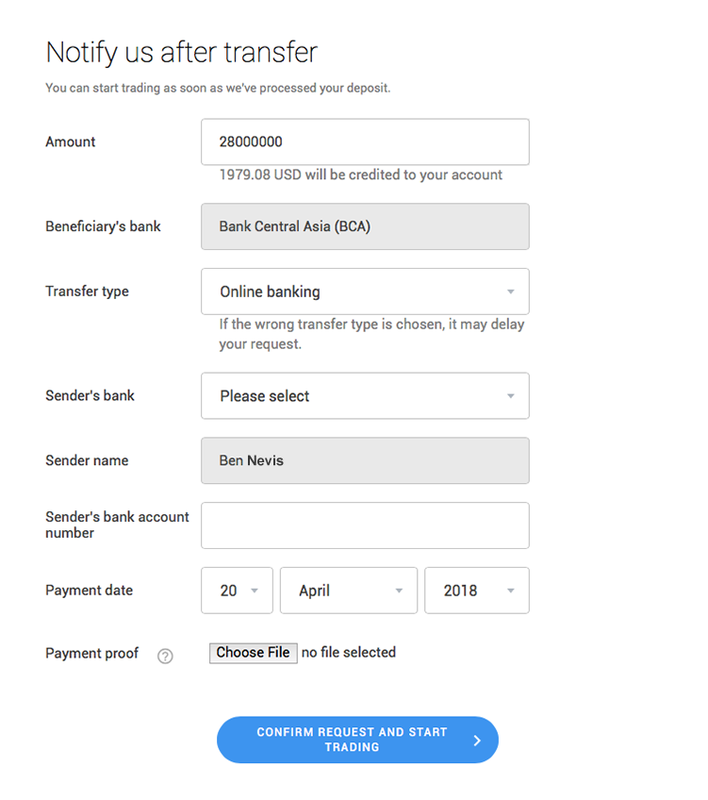 If you make a deposit online you need to open your online banking app/website, then make transfer with given credentials and make a screenshot of processed transaction. Find your nearest ATM and deposit using bank details given on the deposit page. You can also deposit by cash at your bank branch. Make sure you use correct data in the process of deposit. Please, double check the deposit amount, as it must be the same you state in the deposit request. Here you can see credentials of the banks we cooperate with. On the next step you need to fill in the deposit form: set the amount, choose bank and type of transfer, put in your bank account number and date of payment. 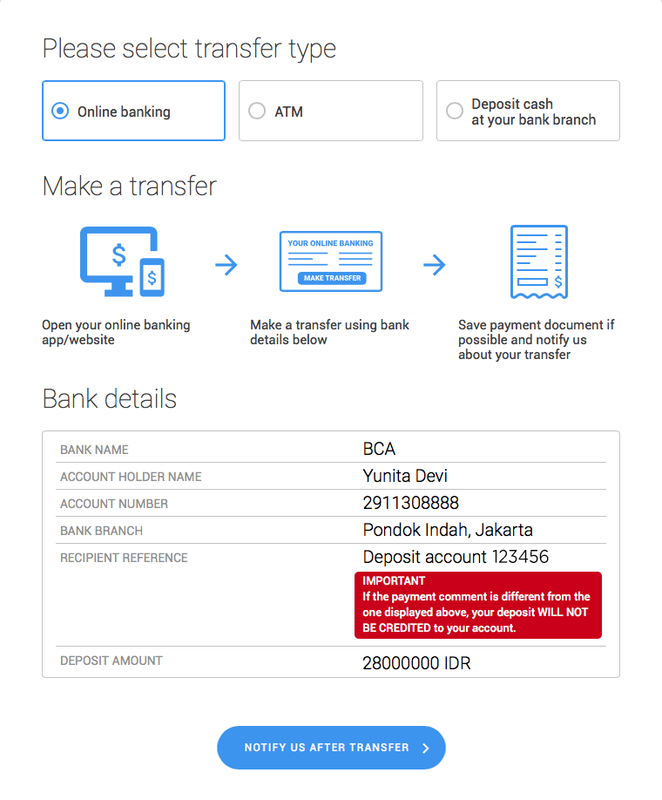 We will process your transaction faster if you upload payment proof (screenshot from online banking or payment slip). Once you confirm the request it will be pending till it is processed by the bank and our financial department in their working hours (Monday-Friday 06:00-15:00 EET). 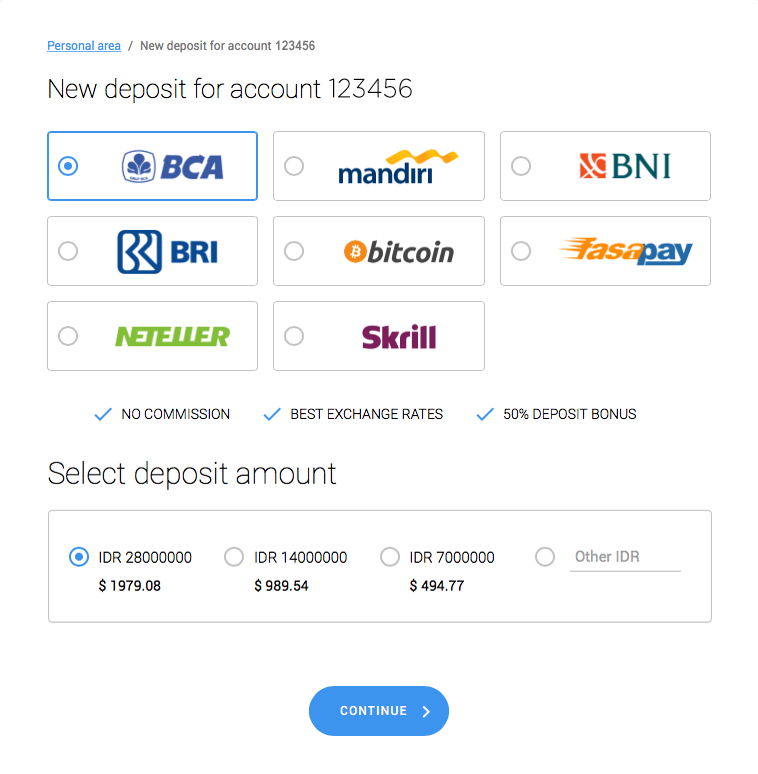 We will choose Skrill as an example of e-wallet deposit. Type the amount you wish to deposit and click ‘Continue’. Then double check the information and click ‘Confirm’. After confirmation you will be redirected to the Skrill page. 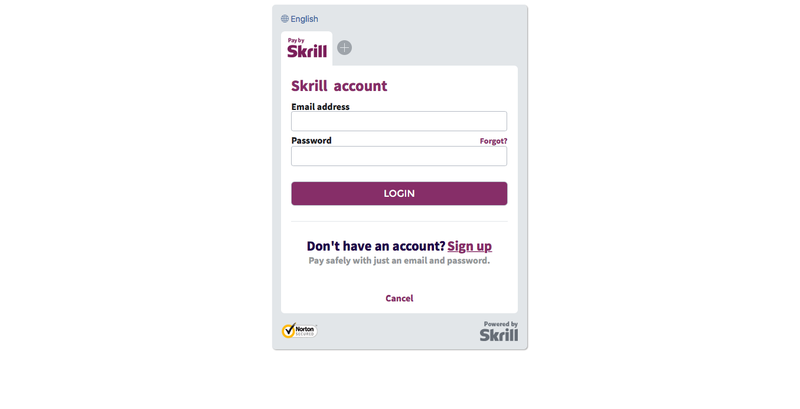 Log into your Skrill account and proceed deposit. Once request is processed, funds will be credited to your trading account. Please, notice, that according to our AML policy you will need to verify your credit/debit card as we can not accept transactions from the third parties. To make a deposit you need to enter deposit amount, confirm it and fill your credit/debit card details in the form. 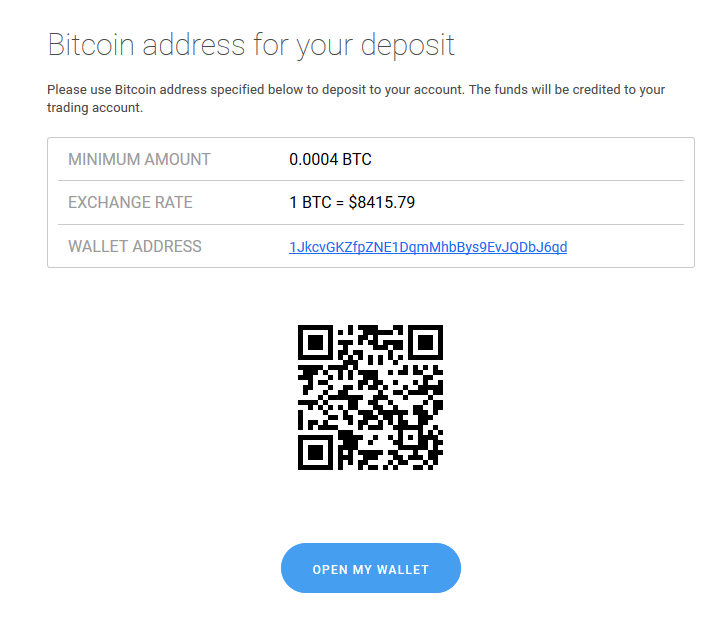 You can also deposit with Bitcoin. 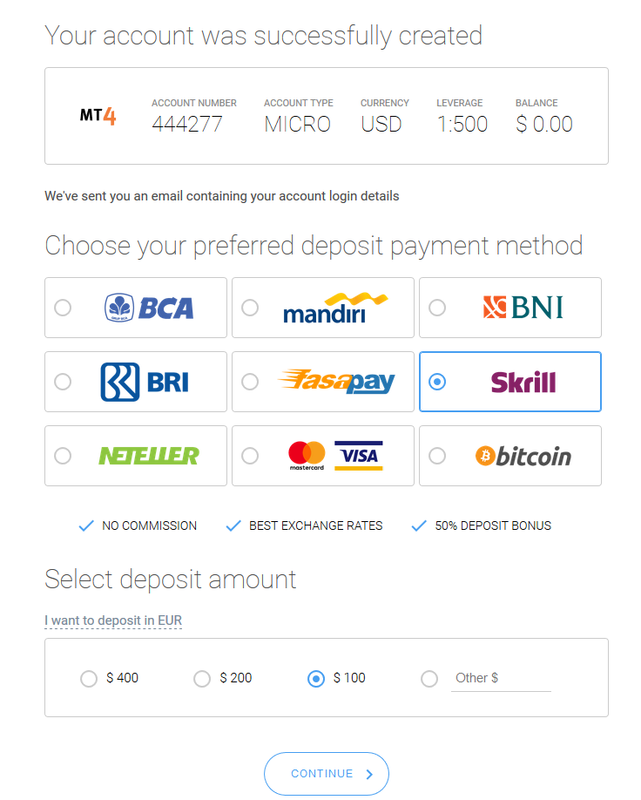 After choosing ‘bitcoin’ in the list of payment methods you will see current exchange rate and address of our wallet. Then you need to open your bitcoin wallet and process transaction. We also recommend you to check our education section where we post trading forex strategies, forex tutorials and platform manuals.